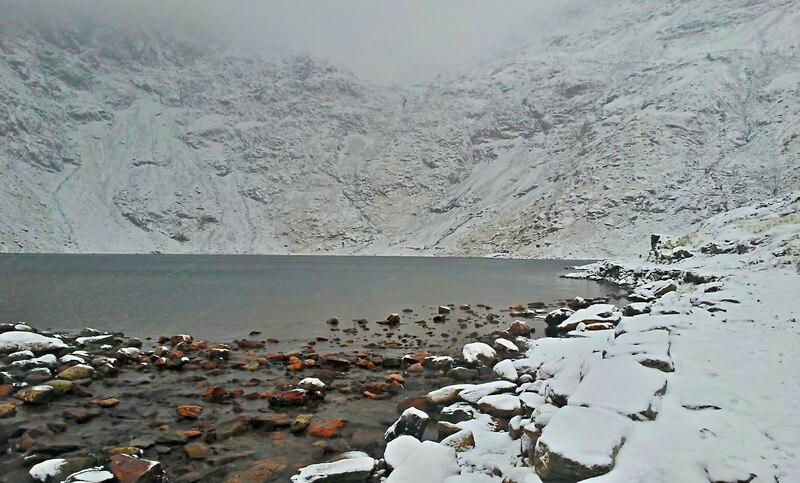 A few walkers were caught out by last Sundays snow on Snowdon. The weather was true to Met forecast so no excuses for not being prepared. Around noon the ground was still reasonably clear, by 3pm there was a good dusting to an inch in some places. Quite a few folks who had breezed up the PYG in the morning were struggling back down in trainers. 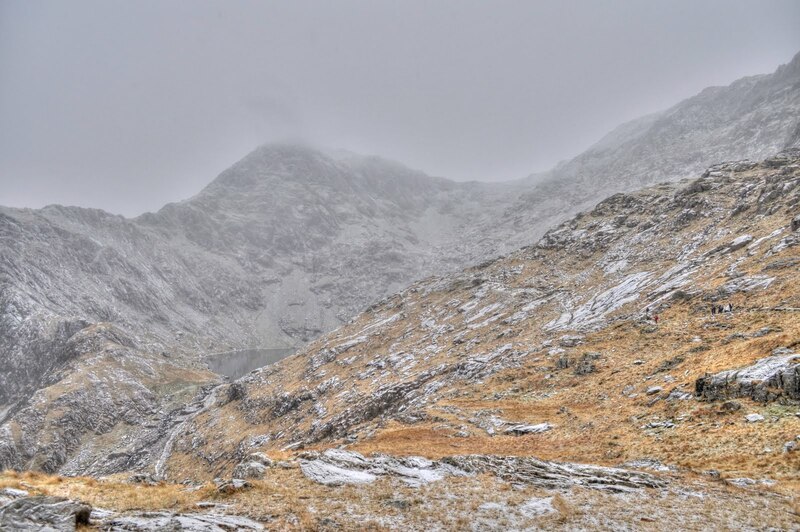 With even light snow obscuring the path, the usual confusions happened with folks decending around the mine area below the zig zags. I must say I also saw a lot of common sense shown by most groups when assessing the conditions, so not all lemmings. Unusually the summits of Crib Goch and the Glyders remained free from cloud for a most of the day, anyone up their got the best of the weather. A thin layer of snow and ice covered the downward angled paved slabs, I’d forgotten how grim coming down the Miners track was, even donning the G14 poons for part of the way. 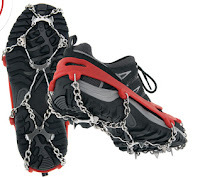 Helen had her Kahtoola Micro spikes in her bag, just the jobby, http://www.joe-brown.com/outdoor-equipment/kahtoola_micro_spikes they have lasted 3 season’s sofar and a spell in Ecuador with no sign of deterioration or the Red elastomer cracking, i definitely rate these above the Yaktrax.